"I started when I was three years old. My mother just took me out to the studio on a regular interview day, and they needed a person, and that was it." Billie Thomas (originally William Thomas, Jr.) is best remembered as Buckwheat in the Our Gang (Little Rascals) shorts from 1934 until the series ended in 1943. He was a native of Los Angeles, California. 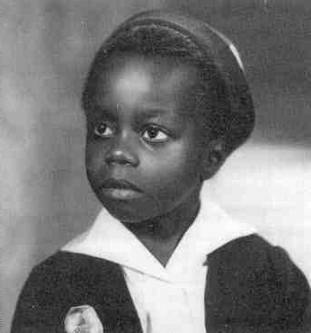 Although the character he played was often the subject of controversy in later years for containing elements of the "pickaninny" stereotype, Thomas always defended his work in the series, pointing out that Buckwheat and the rest of the black Our Gang kids were treated as equals with the white kids in the series. Described by his co-stars as easygoing and cooperative, Thomas became the only Our Gang cast member to appear in all 52 MGM Our Gang shorts, and was also the only holdover from the Hal Roach era to remain in the series until its end. He was twelve years old when the final our Gang short, Dancing Romeo, was completed in November 1943. Thomas was one of the most popular of characters of The Little Rascals. 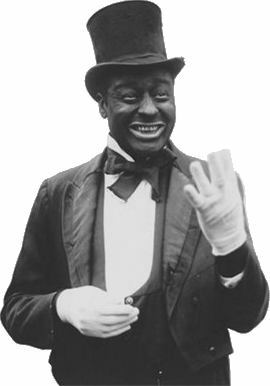 His character was conceived as a replacement for Matthew "Stymie" Beard. Buckwheat was originally a female and later an androgynous character, both in the classic Pickaninny stereotype with a tangle of braids and white ribbons, but with time he assumed his true gender and standard costume of floppy hat, striped shirt, and tattered pants, precariously held up by one suspender. and as he appeared later in Our Gang. His garbled English --- punctuated by his signature exclamation, "Otay!" --- belied a craftiness that put him one step ahead of the bigger kids, and he was often paired with the inscrutable Porky. 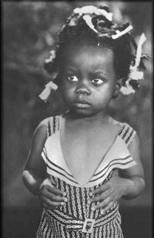 Buckwheat stayed with "Our Gang" until the series' demise. After Our Gang, Thomas played some small parts in other films, but soon left show business altogether. After serving in the Army during the Korean War, he worked for many years as a lab technician at Technicolor. During his adult life, he made few attempts to cash in on his former fame. When he was introduced at a Little Rascals reunion in 1980, he received a standing ovation and was moved to tears. 3 months later, Thomas died of a sudden heart attack in his Los Angeles apartment on October 10, 1980. He was just 49. His Buckwheat character was affectionately spoofed by Eddie Murphy on TV's Saturday Night Live in the early 1980s, though not without controversy. 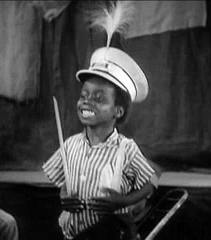 The real Buckwheat's son, William Thomas, Jr., strongly protested Murphy's caricature.